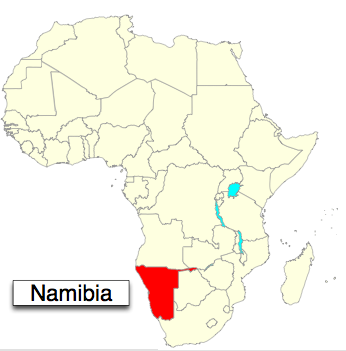 This entry was posted on Wednesday, October 22nd, 2008 at 8:45 am	and is filed under Namibia, news, travel, work. You can follow any responses to this entry through the RSS 2.0 feed. You can leave a response, or trackback from your own site. PC! I got your phone call the other day and tried to call you back about 2 hours later, but I guess you disconnected your phone already. Sad to hear you’ve left, but great news on the job. Congrats. I know you’ve been waiting forever. Best of luck, keep in touch. Will you teach me how to clear my cookies? I don’t want “those bastards” to rip me off when I book a trip to visit! Got together for football yesterday. It wasn’t the same without you. Watching MNF tonight… Al, Rudy, & I miss you. Dad went to see Jason tonight for his back and J told us he’s been checking your Afrilogue, which we had totally forgotten to do-anyway, it’s great! What a great way to “keep in touch”!